Ships tomorrow if you order in the next 18 hours 4 minutes. 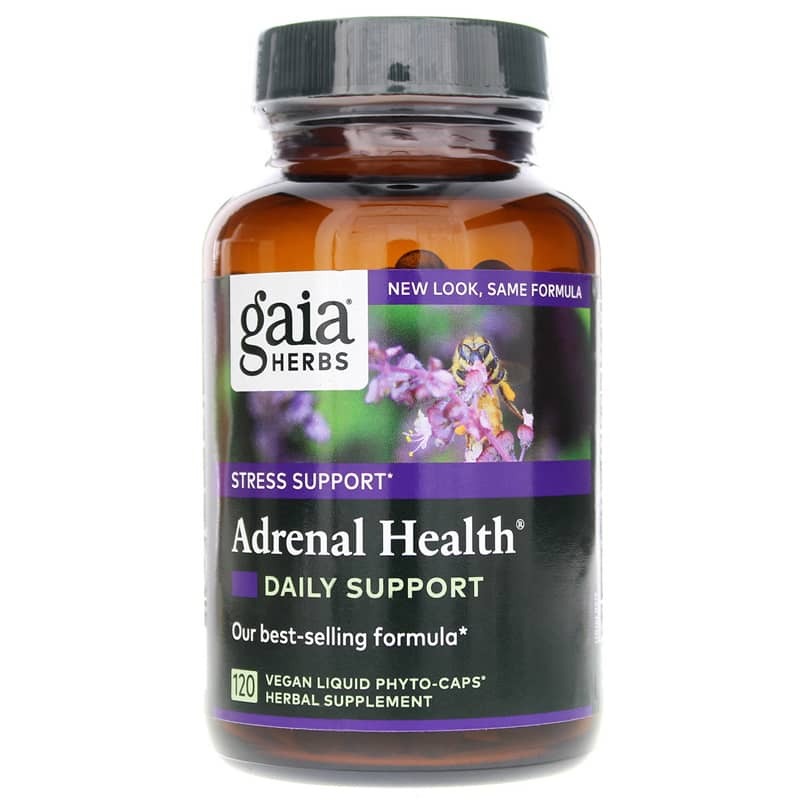 Adrenal Health Daily Support by Gaia Herbs is designed to secrete adrenal gland specific hormones and calm the body during stress. Nervousness, poor memory, difficulty with concentration and decision-making, cravings for sweets, weight gain and compromised sleep are all associated with failure to maintain healthy levels of hormones. Over time, as you experience stress on a daily basis, the adrenal glands can function less optimally, secreting unhealthy levels of stress-related hormones. The supplemental formula can help maintain a healthy response to stress by supporting the adrenal glands and nourishing the nervous system. It works to maintain normal cortisol levels with select herbs within the formula. What are the Herbs within the Supplement and What can they do? Rhodiola Herb: Works to regulate cortisol levels and adapts to stressful influences over time. Rhodiola Rosea Root: Supports homeostasis from stress. It also helps the body adapt to stress over time. Holy Basil: Encourages a healthy response to anxiety or fear. It works to normalize the stress hormones and support normal adrenal function. 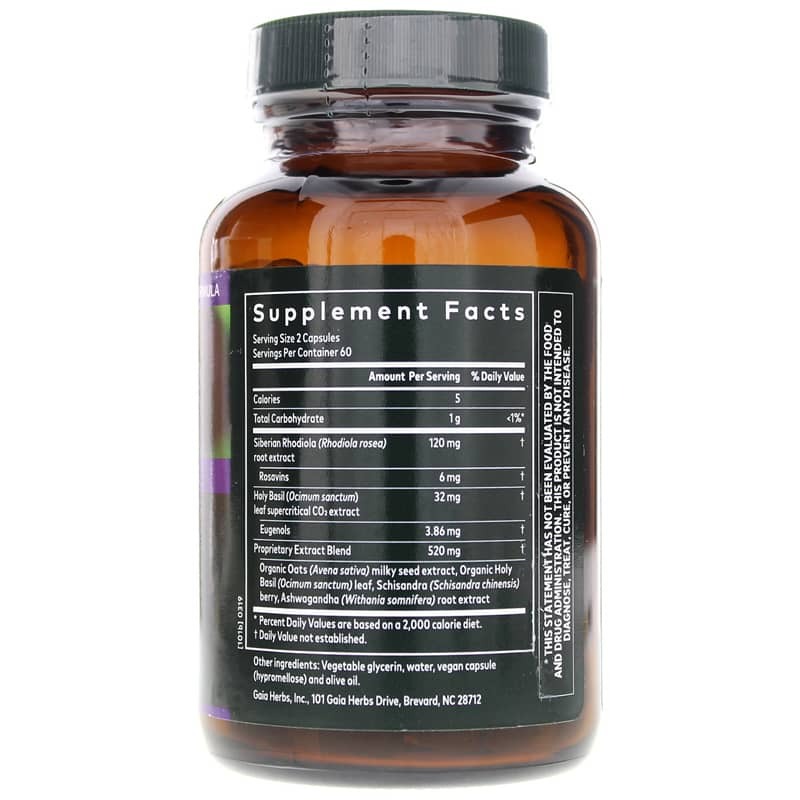 Ashwaghanda: Supports mental endurance and total metabolic efficiency while encouraging an overall sense of well-being. Schizandra Berries: Provides antioxidant protection, especially from environmental toxins. It also supports mental endurance and a healthy response to stress. Wild Oats Milky Seed: Targets a vital nervous system while working to ease temporary nervous stress, weakness, and exhaustion. Get the natural support you need to handle stress. Order Adrenal Health with Holy Basil and Rhodiola today. Other Ingredients: vegetable glycerin, water, capsule (vegetable cellulose) and olive oil. Adults: Take 2 capsules 2 times daily after meals or as directed by your healthcare provider. Not to be used during pregnancy or lactation. If you are taking medications or have a medical condition, please consult your doctor before use. Rhodiola rosea should not be taken by individuals with bipolar disorder. Keep out of the reach of children. So easy to order from!They have a great selection and the best prices I've found!